In 2018 the iATS team pledged to be more involved with the nonprofit community, and to give back to our clients and their inspiring missions. That's why, earlier this year we announced the iATS Innovator Awards, and recognized six organizations who demonstrated excellence in fundraising and the implementation of innovative technology. In May, iATS was thrilled to announce Seva Canada as the winner of the inaugural iATS Innovator Award for excellent use of tech and their inspiring storytelling ability. 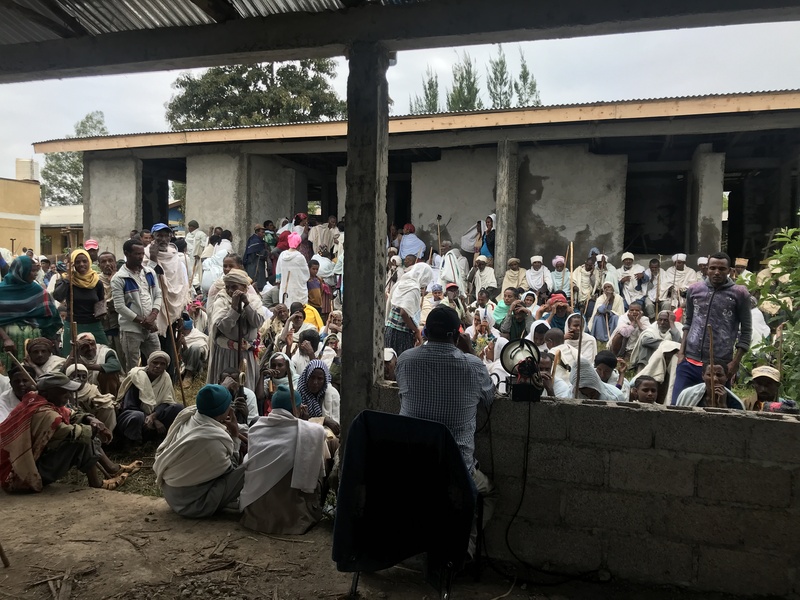 As a result, the Seva Canada team invited us to accompany them on their trip to Ethiopia to see their mission in action, and how donations processed through iATS are put to use. Our Content Marketing Specialist, Katie Tatham accompanied Seva, and documented the trip through a series of blog posts. 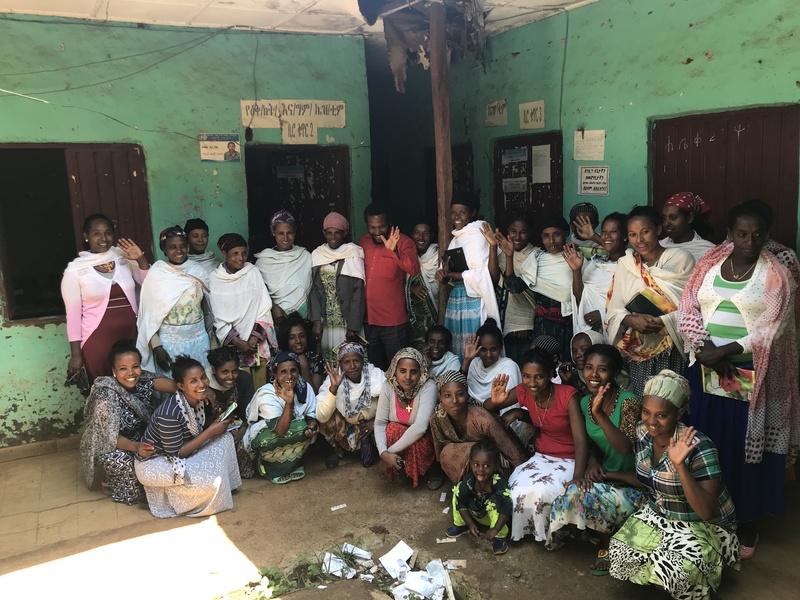 We've compiled the posts to bring together her observations on her time in Ethiopia, international development, and the amazing work of Seva Canada. Seva Canada is a Vancouver-based charitable organization whose mission is to restore sight and prevent blindness in developing countries, and the winner of our inaugural #iATSInnovator Award. 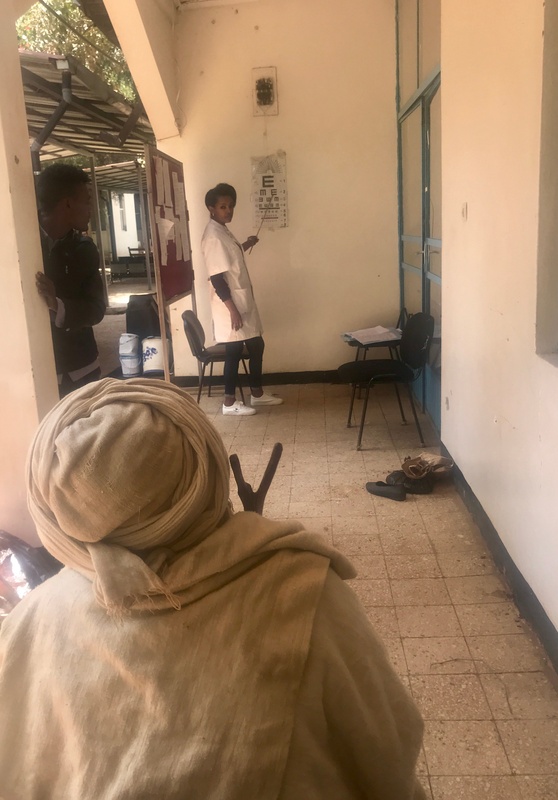 A Seva team is currently working in Bahir Dar, Ethiopia, visiting a secondary eye hospital, Felege Hiwot Hospital, and the communities it supports. While Seva’s mission is focused on eye care, a large part of their efforts are devoted to gender equity. The world’s blind are predicted to increase from today’s 36 million to 115 million by 2050 if access to treatment is not improved and increased through better funding. The majority of the 115 million will be women and girls. Seva Canada’s Equal Right to Sight campaign aims to eliminate the current disparity in eye care where women and girls make up the majority of the world’s blind. This Thursday, October 11 is International Day of the Girl, and International World Sight Day, making it an important day for the Seva team. 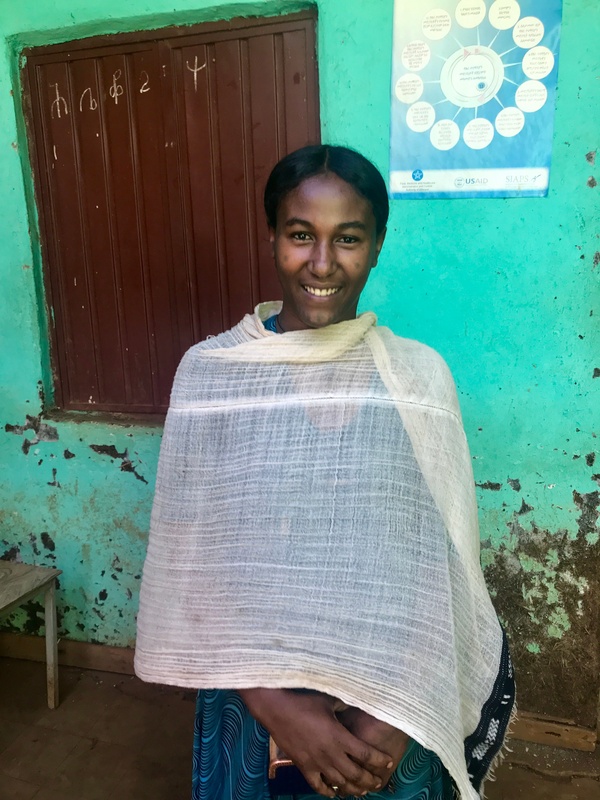 Here in Ethiopia, a vital component of Seva’s strategy to reach women and girls with eye care includes working with existing microfinance programs. Seva and their partner in Africa, KCCO (the Kilimanjaro Centre for Community Ophthalmology), understand that eye care programs need to engage with community-based economic and social development activities. Without this engagement, programs remain expensive and short-lived. As a result, Seva and KCCO have established a program utilizing microfinance groups to empower women to improve the health of women and girls. Seva uses existing microfinance groups, of which there are thousands across eastern Africa, as a tool to find women and girls in need of care and connecting them to the available eye care services. Microfinance members are taught simple eye health information like eye conditions, treatment options, and ways to spread this information within their communities. They are then asked to refer patients to outreach screening activities occurring in their area. At the outreach screenings patients are examined and those requiring care are transported to the eye hospital for cataract surgery. Patients are also provided glasses and are treated for eye diseases like trachoma, the leading infectious cause of preventable blindness. Providing women with additional income, often translating into social capital. Giving higher status to the women within their villages, and a network of like-minded, similarly driven women. Women in microfinance groups are some of the most empowered in their communities, from both an educational and financial standpoint. Seva believes that microfinance groups provide a powerful forum for educating women. By linking eye care into their broader economic empowerment, the groups provide a significant gain to the prevention of blindness in Africa, and Seva’s initiatives help women and girls overcome some of the barriers to accessing eye care. In helping women and girls get the eye care they need and deserve, and creating strong links between communities and eye care providers, Seva is helping to ensure that more women will be able to see now and into the future. Since expanding to Ethiopia in 2014, Seva has been able to significantly increase the number of women and girls who receive eye care. Yesterday, the Seva team had the opportunity to meet the microfinance group outside Bahir Dar. The group has 35 women all living in the area, and all were trained to identify eye disease. Women often join the group because they have family members and loved ones in need of eye care and who may not have easy access to care. It is the women’s hope that their involvement will provide their families with an opportunity for care. Nearly all of the 35 women members were present today to show their gratitude, provide feedback, and meet the Seva and KCCO teams. The women range in age, and some carry their babies on their backs as they enter the hall within the District Office in Adet, a rural village outside of Bahir Dar. The microfinance group meets the Seva Canada team in Adet, Ethiopia. The town has little infrastructure, and the nearest hospital to this community is in Bahir Dar. People identified at the screening in need of eye care, such as cataract surgery, are transported to the hospital’s eye unit. These people, too poor and scared to travel to the hospital, would remain blind without the outreach screenings and transportation. One woman, Simegn Bitew, told the Seva team her story of joining the microfinance team after being cured of treatable blindness herself. The woman, 26 years old, was blind in both eyes from the age of 18-23, from a disease called Trachoma. Trachoma is a disease of poverty, and is carried by flies, which transfer bacteria from animal waste to the eyes. The bacteria can eventually develop an infection, and if not treated leads to blindness. Simegn became aware of the possibility of surgery from announcements over a loud speaker in her town market. She eventually travelled 50km/31 miles by public transport with the help of her mother to receive the surgery. She says she thought she would be “blind forever”, but after having her sight restored by a local ophthalmologist funded by Seva Canada, she is very relieved and grateful. Simegn Bitew, 26, was blind from the age of 18-23, but had her sight restored with help from Seva Canada. She is now a member of the microfinance group and helps other women receive eye care. The iATS Innovator Award has enabled collaboration between the iATS and Seva Canada to assist in the support of Seva’s mission, and particularly the Equal Right to Sight campaign. This week, our Content Marketing Specialist, I am travelling in Ethiopia with Seva Canada. Yesterday’s visit to meet the microfinance group left a lasting impression on me. Being close in age to Simegn, I felt particularly impacted by her story and saw how Seva’s work gave this woman a life she could not have without her sight. I can see how this woman’s story will also have a lasting impact on her community, as her own experiences will encourage more women to seek assistance and feel less intimidated by treatment. Having worked for iATS for the last 2.5 years, spoken to countless nonprofit clients, and volunteered close to home, I feel that I have a pretty good sense of how the nonprofit community functions. I’ve witnessed the challenges nonprofits face and been involved at many levels, from fundraising reconciliations to merchant account set-up, to interviews with CEO’s and event organizers. However, even being immersed in the nonprofit community as I have, I’ve never experienced the balancing required in international development. 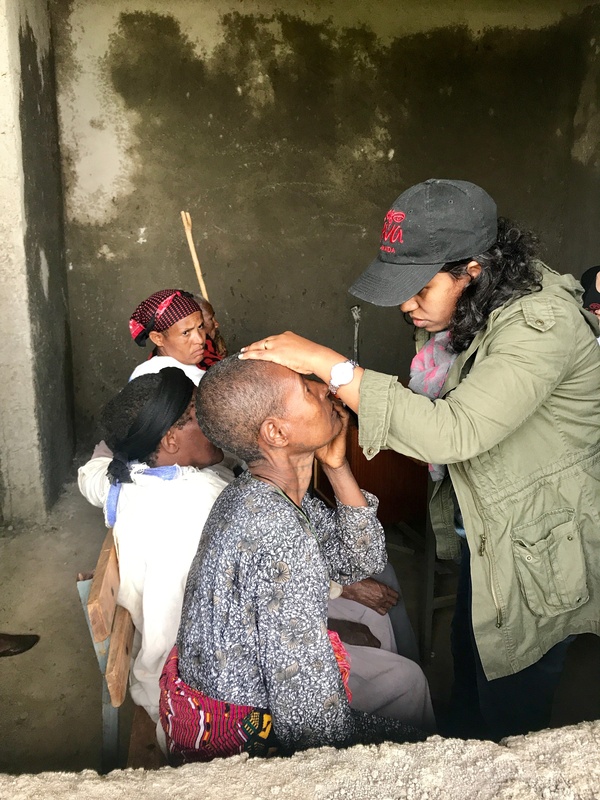 This week in Ethiopia with Seva Canada has given me a unique look into how one organization manages helping to provide eye care in developing countries, while ensuring the success of the programs even once their involvement is complete. It being my first time in Africa, I have never so strongly experienced the feeling of being a spectacle as a white visitor. That feeling is constant here in Bahir Dar, a smaller city with some tourism but not many white foreigners. Locals gather around us in the street just out of curiosity, children asking for money, and there is a sense that we must be able give them something. This is especially prevalent in terms of medicine. This week, while in the field or in the local hospital, I had many people ask me to look at their eyes and provide medical advice. Even when there is a local doctor present, they prefer care from a white person. They don’t know that my medical knowledge is slim to none, and I certainly shouldn’t be diagnosing their eye care needs. This must be frustrating for the local doctors whose years of training are discounted for the word of white person with a camera. Seva Canada’s Approach to International Development. Seva Canada’s mission considers the effects of visiting developing countries, and supporting their existing systems when serving its mission. Rather than send Western doctors to developing countries, Seva prefers to support the local medical system through partnerships. Seva Canada’s Executive Director, Penny Lyons, states, “We don’t send doctors over to do surgeries, we train locals to do their own surgery. We send some professionals over to train, but never to do. 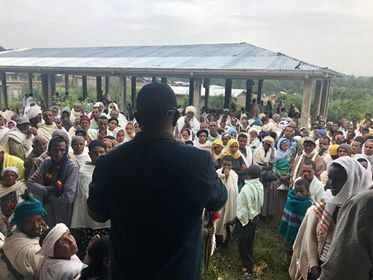 That builds the local capacity and ensures the eye care program will exist and succeed long after Seva’s involvement is complete.” The model is successful, with 766 people screened for eye care at a rural outreach screening on Wednesday, all by local medical personnel. At the outreach screening patients are examined and those requiring care are transported to the eye hospital for cataract or trichiasis surgery. These people, too poor and scared to travel to the hospital, would remain blind without the outreach screenings and transportation. People wait to receive eye care at an outreach screening in Adet, Ethiopia. 766 people were screened, all by local medical personnel. Investing in people and lasting partnerships. The doctors Seva supports are clearly committed to the people they serve. Dr. Hiwot, an ophthalmologist from Felege Hiwot Hospital in Bahir Dar, worked with the Seva team this week and demonstrated her dedication to the people of Ethiopia. She is an excellent doctor, and her team didn’t rest on Wednesday until all 766 of the patients at the screening were seen. This year, Seva Canada and the Kilimanjaro Centre for Community Ophthalmology (KCCO), Seva’s partner in Africa, paid for Dr. Hiwot to receive glaucoma training in Nepal. As one of two ophthalmologists in the public health system for the 8 million people in the Bahir Dar area, providing additional training for local doctors in an important part of providing care to the region. Having seen Dr. Hiwot and the eye care team’s work, Seva Canada can certainly return to Canada with a message to their donors that their money is being well spent. Top, Dr. Hiwot examines a woman’s eyes at the outreach screening in Adet. Bottom, a man receives a visual acuity test at Felege Hiwot hospital in Bahir Dar. The challenge in international development lies in improving an existing system, and ensuring it has the tools to be successful long-term, rather than temporarily patching a hole. Seva also does this with the help of partner, KCCO. Seva relies heavily on the expertise of KCCO to recommend where funding should be distributed and where Seva should invest. “Because they are on the ground, in Moshi, Tanzania, they have a better understanding and a greater knowledge of the work that is being done in eye care in Africa,” Lyons says. By working with and supporting local partners, Seva can not only gather the correct information to make development decisions, but can also bring that information back to local donors to generate more funding. Providing prospective and establishing a foundation. The last few days have certainly given me a new perspective, and some culture shock. I will never have to walk for four hours to have my eyes checked, as one man I met this week did, nor do I have to worry about clean water. However, my first glimpse into international development provides a strong sense of hope for the work done in developing countries by organizations like Seva Canada. While my knowledge on development is still narrow, the training, partnerships and infrastructure established here in Ethiopia appear to be the foundation for success in the future. A man who walked four hours to the outreach screening, prepares for cataract surgery, accompanied by his brother and daughter. 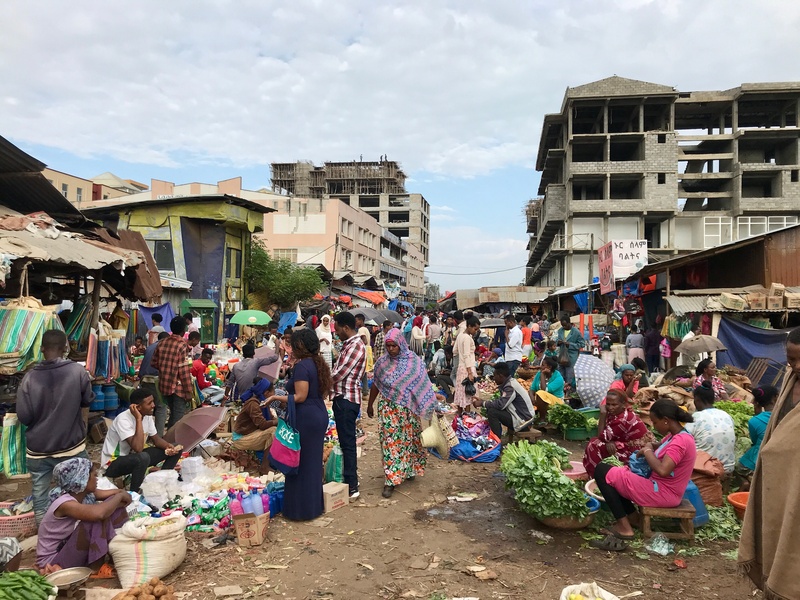 Our very own Katie Tatham recalls her visit to Bahir Dar, Ethiopia, with iATS Innovator Winner and client, Seva Canada. 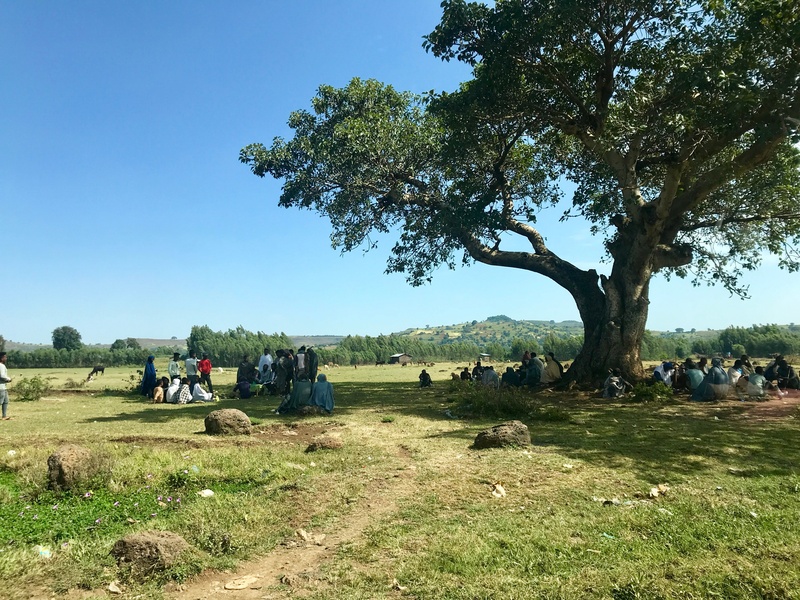 Katie spent five days observing Seva’s work in the Amhara region, understanding their international development model, and getting out of the office and into the field to see donations being put to work. The World of nonprofit tech can be a confusing one, with many things to consider, such as payment processors like iATS, software providers, CRMs and maximizing donation pages. There are a lot of moving parts when it comes to donations making their way from the donor to your nonprofit’s bank account, and then how those funds reach their intended cause. At iATS we only process for nonprofits, and we interact with nonprofits every day. With over 11,000 clients, we’re lucky to see all the amazing causes, from animal rescues to cancer research, that are helped by your hard work. Our role in nonprofit tech is to deposit the funds into the nonprofit’s bank account, but it’s important to the iATS team that our support doesn’t stop there. We love being involved in the nonprofit community, which is why last month I had the opportunity to travel to Ethiopia with our iATS Innovator Award Winner, Seva Canada. 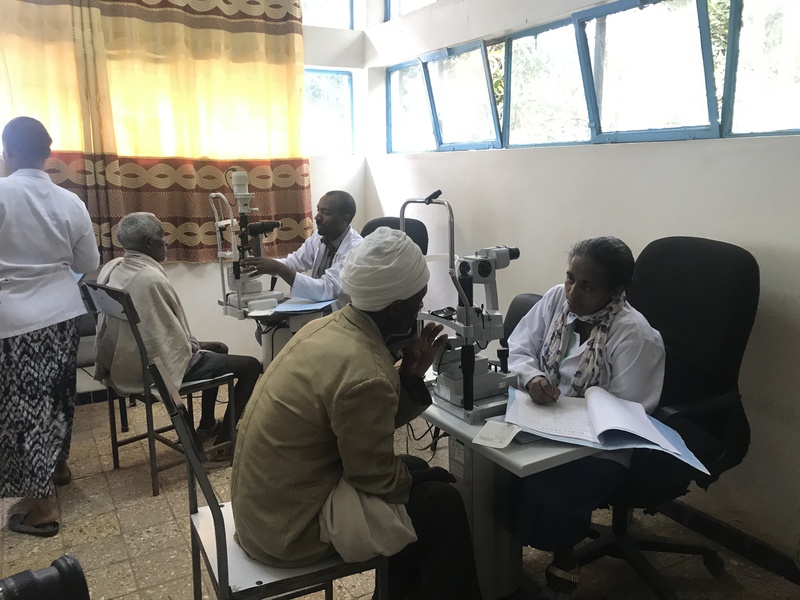 Seva Canada provides eye care in developing countries, and their invitation for iATS to join them on their outreach trip to Bahir Dar meant seeing the impact of our small contribution to the nonprofit community firsthand. The experience was rewarding, yet taxing, and a couple weeks of reflection was necessary to look past food poisoning and jet lag to comprehend the impact of the trip. 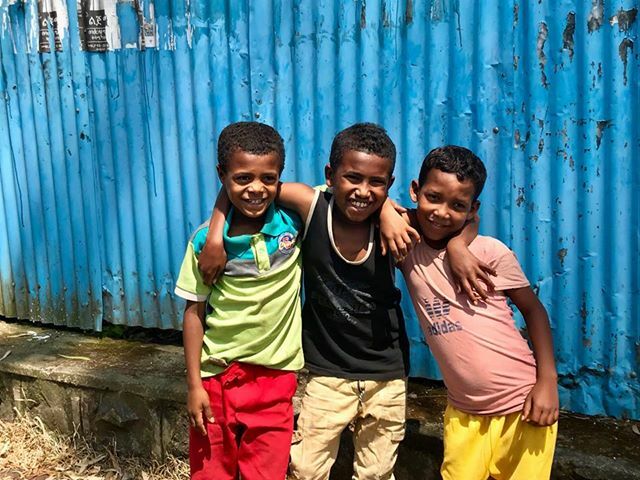 Boys pose for a photo in Bahir Dar. 30 hours of travel from Vancouver to Bahir Dar via Toronto and Addis Ababa in economy is not glamourous. I arrive with swollen ankles and greasy hair, but excited. As I wrote in my article on international development, my white skin is met with stares and curiosity, but I never feel threatened. There are the expected elements of visiting a developing country: unclean water, abandoned half-constructed buildings, people asking for money and slow Wi-Fi. However, some are more surprising: the number of strong English-speakers, palm tree and plant-lined sidewalks and feeling safe on my own, even as a woman. On the hottest days, the air feels heavy with pollution, but people are welcoming and ask why we’ve come to Ethiopia and if we’re enjoying it. Top, the market in Bahir Dar. Bottom, people seek shade under a tree in a rural area outside of Bahir Dar. On our first day, we visit Felege Hiwot Hospital and meet the local eye care team that Seva Canada and their partner, the Kilimanjaro Centre for Community Ophthalmology (KCCO), support. 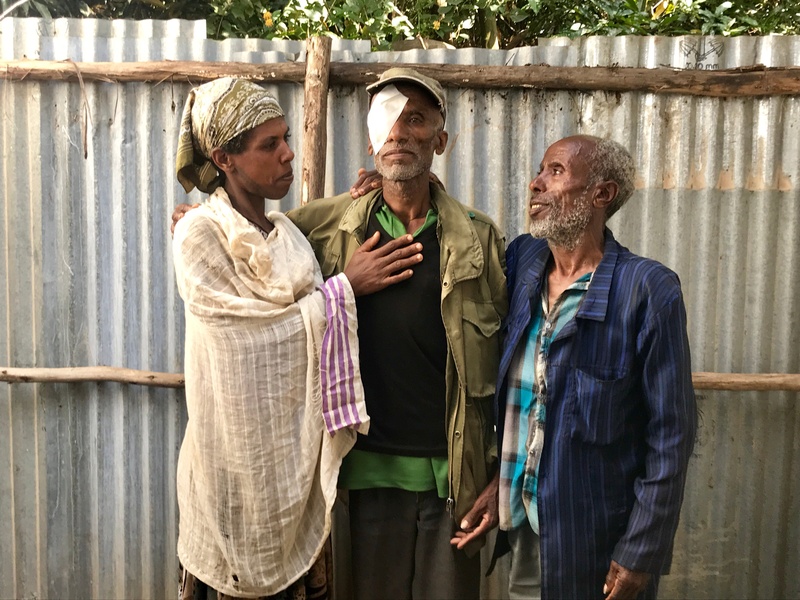 They are dedicated to the people of Ethiopia even though they are spread thin, with only two ophthalmologists for eight million people in the Bahir Dar area. The hospital is modest, and the eye care unit is just a few rooms and an operating room that likely wouldn’t meet western standards. The team does its best to treat everyone in the area through outreach screenings in rural areas and transport to the hospital for cataract and other eye-related surgeries. Money from international organizations like Seva Canada is well spent on the training and funding of dedicated ophthalmologists like Dr.Hiwot. However, there are reminders of where other development has fallen short. Broken machines haunt the corners of examination rooms – a byproduct of international development programs that may not have considered the long game. Generally, the hospital doesn’t have a problem receiving equipment, as many organizations are willing to pay for it. However, lower-quality, foreign-made equipment is often donated. Seven or eight cheap autorefactors, the device you’re likely familiar with putting your chin on when you visit the optometrist, can be purchased for the price of one higher-quality autorefactor. The problem is, the cheap ones break within six months to a year, and no one at the hospital has the training to fix them. At a Western hospital there are entire departments dedicated to mechanical maintenance and restoration. Additionally, Dr. Hiwot recently had training for operating on people with glaucoma, but the tonometer (the device that detects glaucoma) on all of their machines are broken. Seva plans to look into getting training for machine repairs, but this will likely be an out-of-country course. Optometrists at Felege Hiwot Hospital examine patients' eyes with autorefractors. One of the reasons Seva Canada was chosen as our inaugural iATS Innovator Award winner was their excellent storytelling ability, and their inspiring Equal Right to Sight Campaign. The multimedia campaign advocates for gender equity in the treatment of blindness, as the majority of the world’s blind are women and girls living in developing countries, and the numbers will likely triple by 2050. Telling the stories of women and girls in Ethiopia is at the forefront of Seva’s agenda on this trip to Ethiopia. It’s clear that the eye care they support goes beyond the medical team and those who receive care – it also supports the empowerment of local women and girls. Seva has established a program utilizing microfinance groups to empower women to improve the health of women and girls. Seva uses existing microfinance groups, of which there are thousands across eastern Africa, as a tool to find women and girls in need of care and connecting them to the available eye care services. Microfinance members are taught simple eye health information like eye conditions, treatment options, and ways to spread this information within their communities. They are then asked to refer patients to outreach screening activities occurring in their area. At the outreach screenings, patients are examined and those requiring care are transported to the eye hospital for cataract surgery. Patients are also provided glasses and are treated for eye diseases like trachoma, the leading infectious cause of preventable blindness. On our second day, we meet a microfinance group in Adet, a village outside of Bahir Dar. Here we have the chance to meet women who are active members of the group and their community, and assist in referring other women to receive eye care. The microfinance group plays a vital role in bringing people, particularly women and girls, to the screenings to receive care. Women’s equality is an important issue for me, so meeting these women was inspiring and truly made me appreciate the opportunities women have in North America. It was amazing to see a group of women working together toward the improvement of their communities and the lives of other women. By meeting the women of the microfinance group, and the medical team, Seva can capture their stories and bring them back to their donors to demonstrate the valuable work they are doing. Having seen Dr. Hiwot and the eye care team’s work, Seva Canada can return to Canada with a message to their donors that their money is being well spent. Of course, Seva is mindful of how often they go on trips overseas, however the trips are critical to the success of their programs. The team considers when they need to monitor and suggest improvements to the programs they support, and that valuable information is brought back to the donors. The most overwhelming day of the trip was the screening day, where approximately 1,000 people gathered. The small space was crowded and at first seemed disorganized and claustrophobic. While most people were there to have their eyes examined, it seemed that some came simply for entertainment. They may have heard at the market that western people were visiting the area, or it was an opportunity to visit with friends and family who would be attending too. The screening was chaotic at first, but the local team quickly had an organized approach, and all 766 people who needed to be screened were seen. Of the 766 people screened, 347 were male, and 419 female. For the first part of the screening day, I no doubt looked like a deer in headlights as I took in all of the people in need of care, some who had walked in bare feet to reach the screening. Unsurprisingly, this experience provided a new perspective on development, and just how lucky we are to have such easy access to health care in North America. People wait to see a member of the local eye care team at a screening in Adet, a village outside of Bahir Dar. While we work with nonprofits daily and often volunteer with local organizations, visiting a developing country and meeting the people who benefit directly from donations to Seva Canada, which are processed by iATS, provides a new appreciation for the important, yet easy-to-overlook, contribution we make to the nonprofit community. We’re passionate about the work of our clients. Being able to make a meaningful connection between nonprofit tech and the dedication of Seva Canada and their partners, which ultimately leads to restoring sight, is an invaluable experience that further solidifies our commitment to supporting our clients’ missions. Seva Canada (seva.ca) is a charitable organization that restores sight and prevents blindness in developing countries. Since 1982, Seva has given over 4 million people the power of sight through life-changing surgeries and provided eye care services including glasses and medicine to millions more. Statistics provided by Seva Canada. Photos taken by Katie Tatham. Written by Katie Tatham, Content Marketing Specialist at iATS Payments. This year, Katie spearheaded the first annual iATS Innovator Awards, recognizing inspiring achievements in nonprofit technology and fundraising. Katie and the iATS team were thrilled to announce Seva as the winner of the award earlier this year. 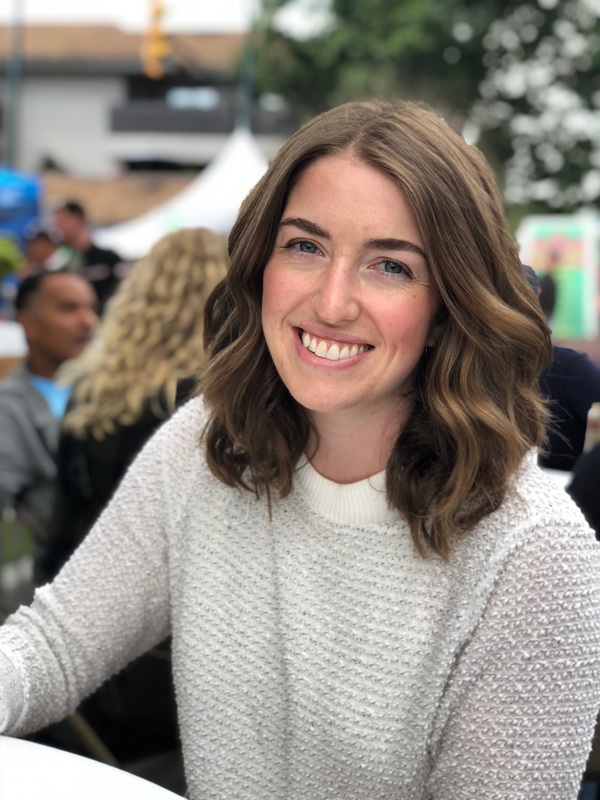 Katie is a passionate writer and enjoys helping nonprofits tell their inspiring stories, and sharing them within the nonprofit and technology sectors. When she is not writing, she spends her time cooking, or outside hiking and playing field hockey.